Bill Cosby's Sentencing; Jesse's Nike Misstep; WSJ, Elitist? (No! 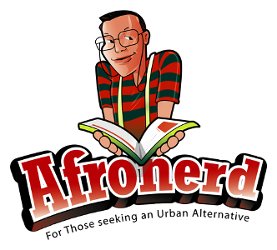 Lol)-MWIR 7pm - Afronerd: The Blerd Revolution Has Begun! Those vaunted time constraints! Let's keep ity simple....it's the Mid Week in Review (MWIR) podcast airing every Wednesday at 7pm eastern. Join your AFROnerdist hosts as they unpack the following hot topics for the (mid) week: the fall of an icon, comedic legend, Bill Cosby, gets sentenced to 3-10 years for sexual assault and we have our thoughts; actor/activist, Jesse Williams gets heavily criticized on social media for aligning a Nike ad with Emmett Till and Colin Kaepernick (but why is every critique coupled with fair skinned humor? Why did actress, Jennifer Lewis get a pass? ); the Wall Street Journal gets accused of racism and elitism for its criticism of author, Ibi Zoboi's latest novel, Pride, a modern spin of Jane Austen's Pride and Prejudice; Dburt laments the passing of The Village Voice but wonders, with more tech billionaires buying newspapers-why not the Voice? ; what is Culture Con? ; more details on the color correction regarding Princess Tiana in upcoming Ralph Breaks the Internet sequel; Led Zeppelin is working on their own streaming service; more on Prince's Piano & A Microphone release; And lastly, pulp news roundup (Joker, Black Widow , Dark Phoenix trailer cometh, etc). Call LIVE at 646-915-9620.